Looking for a new audio interface? Here we’ve compiled the best audio interfaces you can get in 2017. First off, the audio interface you choose must have good sound quality. This includes the quality of its inbuilt pre-amp and D/A converters. The last thing you want is an audio interface with substantial sound quality, affecting your recording. Next, the overall reliability of the audio interface is important as well. Does the audio interface come with reliable drivers? Does the manufacturer who makes them constantly push out updated drivers to cope with the many OS updates on your Mac or PC?And finally, the price must make sense too. Are you getting the right value for the price you’re paying? And finally, the price must make sense too. Are you getting the right value for the price you’re paying? Admittedly, there are many other considerations to think about when choosing an audio interface & I totally understand that. However, we’ll compile the best audio interfaces based on the mentioned three factors. We’ve also separated the list by introducing the best budget audio interfaces first, and then the premium line-ups later. But first, do you actually need an audio interface? I raise this question a lot because many people actually ask me this. And I understand because I asked the same exact question when starting out too. Well, if you’re mainly producing music in your DAW and not doing any recording, you probably do not need an audio interface for now. Audio interfaces are useful for people who wants to record instruments via microphones or line-in. Other than being a device that helps you output digital audio from your computer to speakers or mixers, audio interfaces also help you reduce audio latency on your computer, especially producers on Windows-based computers. Additionally, other than being a device that helps you output digital audio from your computer to speakers or mixers, audio interfaces also help you reduce audio latency on your computer, especially on Windows-based computers. Some producers also claim that the DAC (Digital to Analog Converter) in most modern audio interfaces helps you monitor with better sound quality. While that is true to an extent, sometimes you don’t need all the fancy stuff to make music. I’ll leave you to decide for yourself. But if you want to read more about audio interfaces, read this post about audio interfaces. Audio tech has progressed so far that you don’t need to spend a fortune to get an audio interface that records great sound. Budget audio interfaces usually come with fewer inputs & outputs but that doesn’t mean you can’t make world-class music with some good models. Let’s start with budget audio interfaces first. The Scarlett series by Focusrite remains as one of the best audio interfaces with great sound quality and value for money. The 2nd generation models have been upgraded & now the Scarlett records up to 24bit/192khz resolution, giving you superior audio quality. The mic preamps on the Scarlett is also something you’d love – great sound, large headroom and plenty of gain, to take on different types of recording jobs. Focusrite has also claimed to record super-low latencies on the Scarlett at 2.74ms when working real-time with plug-ins without the need for a DSP. On top of that, I’ve also always liked the input LEDs on the Scarlett that changes in colour as I hit the headroom – which is really useful for recording when you can keep an eye on the blinking LEDs. I’d also recommend getting the Scarlett 2i2 at a minimum, so you have 2 inputs to play with. If you’re looking to record more instruments simultaneously, go for the Scarlett 18i20 with 8 mic pres. Also I’d advise you to buy the 2nd generation as they record at higher resolutions, so to future proof your investment. The Audient ID4 is the smaller brother of the ID14, featuring an Audient console microphone preamp and the JFET DI built in. If you want a premium sounding, bus-powered & portable audio interface without breaking the bank, the Audient ID4 is the one to go for. 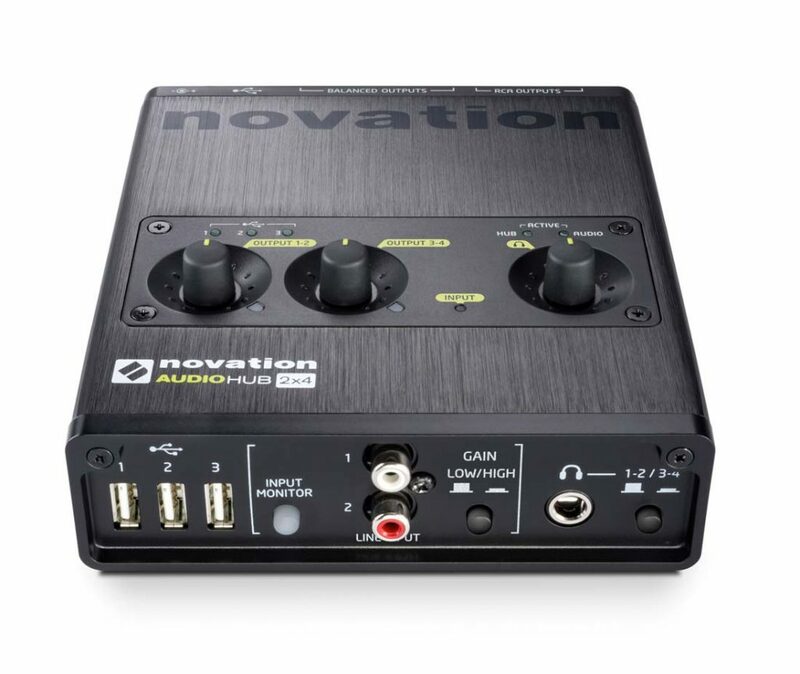 Bus-powered via USB 2 to your PC or Mac, the ID4 offers up to 96kHz resolution and 24-bit audio recording. You’ll find two 1/4 balanced outputs, a headphone amp that with a 1/4 and minijack input and a combo jack input for a microphone or line input. An interesting feature on this audio interface is ScrollControl which enables the volume wheel to also control your DAW & plugin parameters – which would be extremely useful for recording in automation lines. There’s also a direct monitoring function with Monitor Mix that gives you near zero-latency monitoring. The other function, Monitor Pan is also an interesting function that allows you to pan your recording input to one side, so you can monitor while recording, say a guitar while recording vocals. The Steinberg UR44 has been around for some time but I’d still recommend it. It features Class-A D-PRE microphone preamps which you’d find on Yamaha n12 mixers, known to be quiet at low or high gains. One of the best features about the UR44 is its DSP. You could use the interface with the dspMixFx software that allows you to record and monitor with effects – from reverb, EQ, compression and more. This is exceptionally useful for some cases, for example, when you’re recording a singer who needs to monitor their voices with some reverb. You could go for the UR22, the smaller model. However, you’ll lose out on the I/O options. I’d recommend going for the UR44 as it gives you great connectivity. The 4 microphone inputs, 2 line inputs and MIDI I/O is a great welcome. Additionally, there are two headphone outputs which is useful when making music with other producers. The downside to the Steinberg UR44 is that it’s an aging model & we’re not sure when the driver support will be dropped. However, Steinberg has shown to be quite proactive in supporting their users with drivers & fixes, so you could say it’s safe to go for the Steinberg UR44. M-Audio has years of record for creating great audio interfaces. The M-Audio M-Track 2X2M is a compact audio interface with 2 inputs for simultaneous recording. A great sounding audio interface with super clean pre-amps and great A/D converters for great audio. The M-Track 2X2M records and playback at up to 192kHz/24 bit audio resolution. The M-Track 2X2M is a 2in/2out audio interface which I think is a great start for most music producers. I strongly recommend buying audio interfaces with at least 2 inputs, to future-proof audio interfaces. When it comes to the M-Track audio interface, make sure to go for the 2X2M model that comes with a 5-pin MIDI input at the rear. Why? The single MIDI input option will give you better future-proofing and also opens up to more setup configurations in your studio. It also comes with a bunch of software which many producers won’t even use but perhaps you might find them useful if you’re just starting out. Cubase LE is included along with some useful VST/AU effects by M-Audio AIR themselves, the AIR Creative FX collection. Two cables, a standard USB and USB-C port is also included with it. I guess M-Audio want to make sure you’re connected and be making music! Hitting the borderline of audio interfaces below $300, the iConnectAUDIO4+ is a solid audio interface designed with connectivity in mind. You can simultaneously plug your computer, iOS device & USB keyboard controller all into the iConnectAudio4+ and record up to 4 microphones or line instrument. It’s the first audio interface that supports multiple devices and computers at the same time. Imagine being able to use two DAWs at one go & do all sort of crazy audio routing between different devices and softwares. On top of that, the preamps sound great and it records high-resolution audio, up to 96kHz/24bit. 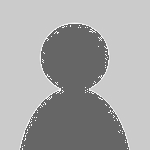 Latency is also very minimal and if you do bump into any problems, the iConnectivity support team is pretty attentive. The IConnect Audio4+ is not bus-powered so you’ll need to keep the supplied power adapter plugged in, for you to use it. Perhaps this could be a turn-off if you produce music on the go but if you make music primarily in your studio, the iConnectAUDIO4+ is one of the most versatile & flexible audio interfaces below $300. The Novation AudioHub 2×4 is an interesting audio interface that lets you connect & power all your USB devices – while offering super low latencies and loud audio output. Seemingly aimed towards electronic music producers & DJs, the AudioHub aids to declutter your production setup. As Novation isn’t a company who manufactures audio interfaces, they’ve partnered up with Focusrite to include Focusrite pre-amps and DAC, so you’ll be getting that Focusrite sound with this interface. You also get 4 assignable outputs which you can use for all sorts of production or live setups. A very interesting setup is to output the line outputs 3–4 to the two line inputs as an effects loop in a live performance situation. Overall, the Novation Audiohub 2×4 audio interface offers simple operation and access to more output/looping setups, for mixing or live settings. The USB hub feature also helps keep the desk clean with the many USB devices we use in the studio. However, the missing microphone preamp could potentially be a deal breaker for many non-DJ producers. The Studio 26 is an affordable 2 in/ 2 out audio interface that offers high-resolution audio recording. It records up to 24-bit and 192kHz resolution. Fitted with the famed PreSonus microphone preamps, high graded digital converters, low-jitter clocking and also a MIDI interface. With this is check, you’ll be future-proofing your audio interface purchase. There is also phantom power for when you’re using condenser microphones. The front panel is fitted with a combo jack that accepts XLR mics or 1/4 jacks for line or instrument inputs. While recording, the LED indication meters are great for quick checks on your input and output levels. Something that might attract you is that Presonus Studio 26 is fitted with a cue mix A/B function that essentially allows you to switch between two mixes while monitoring on headphones. A DJ would love this feature and another ideal use case for this is when you want to monitor between your original mix and performer’s mix when recording. Extremely versatile with multiple setup possibilities while being a bus-powered unit, you can use it in any audio setup you wish, whether in the studio, live performing, DJ-ing, podcasting and more. For more input choices and better future-proofing, get the Presonus Studio 68, a 6-in, 6-out audio/MIDI interface. It offers more connectivity options at only a slightly higher price tag. The Presonus FireStudio Project is one of the best audio interfaces you can get below $500. An audio interface that has been on the market for over 6 years, this shows how solid the FireStudio Project interface to be. Records up to 24bit, 96kHz, you get 2 mic/instrument inputs and 6 mic/line inputs with premium Class A XMAX mic preamps that sounds just great. The FireStudio Project steps above other budget audio interfaces as it includes a MIDI & S/PDIF connection together with a word clock I/O – which would be very useful for connecting more audio hardware together. Currently, the audio interface also includes the Studio Magic Plug-In Suite which is a compilation of audio plugin effects picked from the best names in the market. Unlike many other freeware plugins which are not quite usable, the Studio Magic Plug-In Suite is actually quite good. One great unique selling proposition of the Presonus FireStudio Project audio interface is that you can daisy-chain multiple FireStudio interfaces together. This means you can actually run hook up a few of the interface and get more inputs & outputs for your recording needs. Perfect for future-proofing and expansion. A downside of this audio interface is that it connects with FireWire – which is seemingly slowly being phased off. However on a positive side, it’s compatible with Apple Thunderbolt to FireWire adapter so that makes connectivity possible. Love it or hate it, it’s a solid interface with ultra low latency. We’ll feature another three premium audio interface that is worth considering this year. Here’s how I choose a premium audio interface. Firstly, by sound with its pre-amps and D/A converters. Next, its connectivity, routing and setup possibilities of the audio interface. And finally, the design, build and support for the interface. The fact that the RME BabyFace Pro is not exactly a new audio interface might demotivate you, but make no mistake in the quality of this audio interface. The BabyFace Pro is not very light but it does feel very solid & sturdy. You get 2 XLR inputs/outputs, another additional 2 line inputs, and 2 headphone outputs. On the other side, you’ll find the USB connection port, a DC power input, MIDI port, and the optical ins & out. a TOSLINK I/O is used to complete the entire connectivity. It comes with TotalMix FX that looks quite old-school in terms of design, where it mimics a hardware mixer. TotalMix FX, however, has a lot of routing possibilities, so once you play around & get used to it, you’ll be amazed how with its flexibility. Sound-wise, you’ll get very transparent preamps and great headroom. Good microphones like the Neumann U47 sound extremely great when paired with the RME BabyFace, without the need for another premium pre-amp. The quality of the D/A converters is also of the top-end with audio resolutions up to 192kHz. On the front panel, the onboard meters clearly shows your input and output levels. You can also switch them to select In, Out or Mix. The Mix Mode conversely allows you to control input mixes independently to each output to control monitor feeds. The BabyFace Pro is not exactly a cheap audio interface but its one of the best top-end interface you can buy in terms of sound, component quality, routing possibilities, solidness, and flexibility. It runs bus-powered on any computer, iPad or even as a standalone interface – making it really useful when thrown into any audio setup. Not exactly priced or branded as a premium, great-sounding audio interface, the Roland Studio CAPTURE is one of the best audio interfaces you can buy in terms of stability, hassle-free, and sound, given its price. Some producers have also claimed that the Capture interface sounds better than the Apogee Ensemble audio interface. The sound quality of the Roland Capture far exceeds many audio interfaces at its price range. You’ll get 16 audio inputs and 10 outputs, including 12 premium sounding preamps, the VS preamps. It is a little strange to me to find that the Capture is still using USB 2.0 for connectivity, but rest assured, you won’t experience pops & glitches with the Capture. Interestingly, you get this technology called AUTO-SENS, which is a feature where the input levels automatically set a perfect input for you. Simply press the dedicated button on the front panel and play your instruments. AUTO-SENS will set the ideal recording level in seconds. It also works for an entire drum kit or multiple microphone setup, so you can imagine how useful that could be. Taking one step beyond normal recording & tracking, the Studio Capture also provides 4 independent direct mixers for zero-latency monitoring. And with the internal software DSP, you could create different mix routing and send reverb effects for monitoring. The reverb feature itself would be welcomed by many singers and musicians who prefer listening to effected tracks while recording. You won’t go wrong with the Roland Studio Capture if your goal is to setup a robust multiple purpose recording setup in your studio. The MOTU 828x gives you 28 inputs and 30 outputs in one audio interface that connects to your computer, Mac or PC. Fitted with one of the cleanest pre-amps you can find in an audio interface, the mic channels features pre-converter sends for you to work with outboard processing as well, should you prefer. With the 5th generation, the MOTU 828x records and operates up to 192kHZ. The interface also has support for Thunderbolt connectivity, so you can connect them to your other peripherals with Thunderbolt. Additionally, with most premium audio interfaces, the MOTU also has an onboard digital mixer where you can mix channels, effects, compression – all while not overloading your computer’s processing power with too many effects. Designed for the road, the interface is built very solid within an aluminum alloy chassis and is meant to last many years. Expect super low latency on this interface as well. If you’re a music producer who is looking for one of the best audio interfaces with plenty of connectivity, DSP effects and future-proofing, the MOTU 828x should be one interface that should be considered. Note, if you need FireWire support, you could look up for the 828mk3 Hybrid that is identical to the MOTU 828x, except, instead of a Thunderbolt connection, it has FireWire in its place. What do you think of this list? What are some audio interface you’d like to add in this list? Let us know in the comment section below and we’ll put them up for the community! Also share with us your thoughts. What audio interfaces are you currently using in your studio? Thanks for the suggestions. I’ve use M-Audio, Motu, and PreSonus interfaces. My M-Audio was nice, but the PC drivers always needed to be reinstalled. It became very annoying! I gave up and bought a PreSonus FireStudio Project (10×10 24-Bit 96 kHz FireWire for under $500) in 2011. It’s still my main interface, I’ve used it on Mac and PC, and I’m very happy with it; maybe you should include it on this list!? Motu works fine, but there are no markings on the knobs; they turn forever and don’t adjust easily. It becomes very annoying! Yeah The FireStudio is definitely one solid interface. Will be added soon! Sorry to hear that you lost your job for speaking out. Thanks for your input! I think it’ll really help the community here. Cheers! M-Audio….no way…cheap sounding card getting worse by every incarnation. Not stable at all let alone latency is a major issue. Keep away from M-Audio products. Which M-Audio model did you experience that on? Perhaps people should know so to be more informed! Really wish someone would do a real, scientific, technical analysis of audio interfaces, DACs and ADCs, and preamps, instead of telling me to buy a 192kHz rate interface because it’s “future proof.” Give me a break. My M-Audio Profire 2626 (it records up to 192khz) has been serving well for the past 10 years and I’ve been making music ever since. Probably didn’t see value spending time going scientific but rather spent more time making music. But maybe you’re right, we should be the next to do a breakdown analysis into everything. My comment was too harsh, I know it’s not easy to get solid information or to measure it. The Apogees are solid! But sadly not OS-ready yet for Windows users.